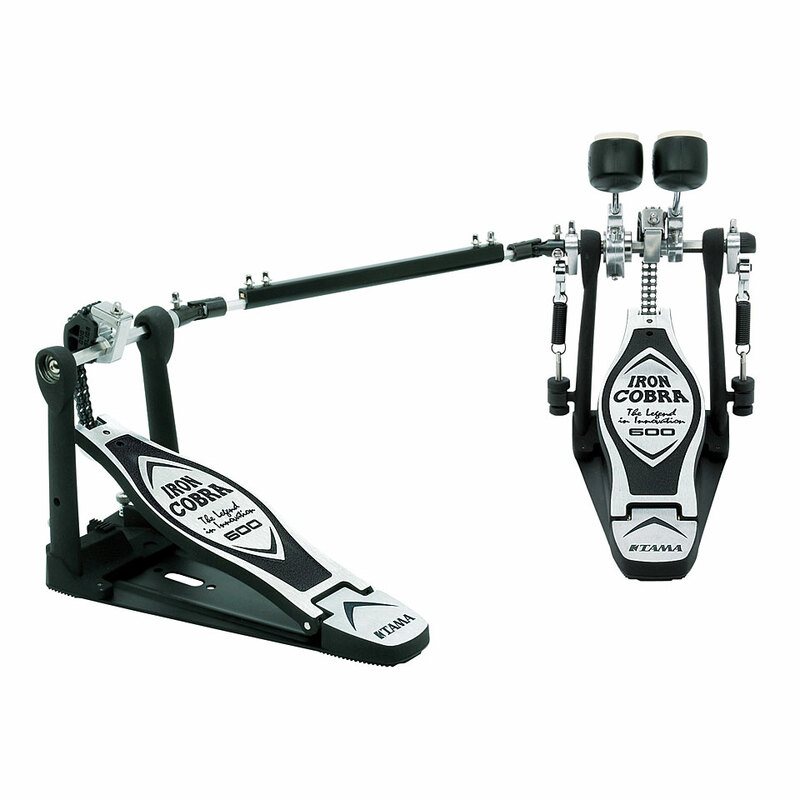 After more than ten years, the foot plate has been revised and with a slightly altered appearance, continuously meeting the demands of modern drumming. 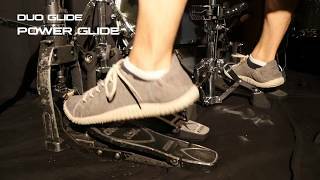 Especially with fast double bass passages or Slide techniques this improves the control of the pedal. 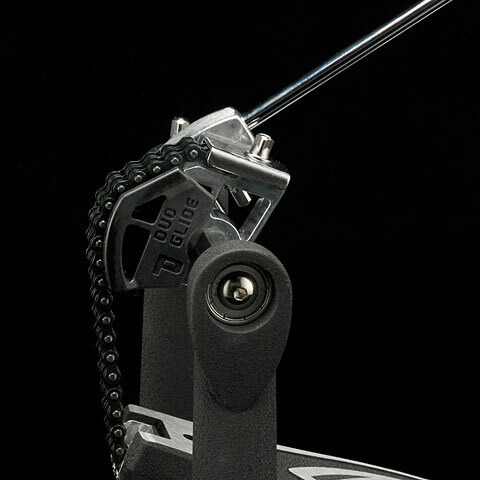 To extend the life of the pedal the Cobra now has a 6mm Axle. The new "Duo Glide Sprocket" for rapid switching between Tamas "Power Glide" - and "Rolling Glide" drive by flipping over the rear sprocket. 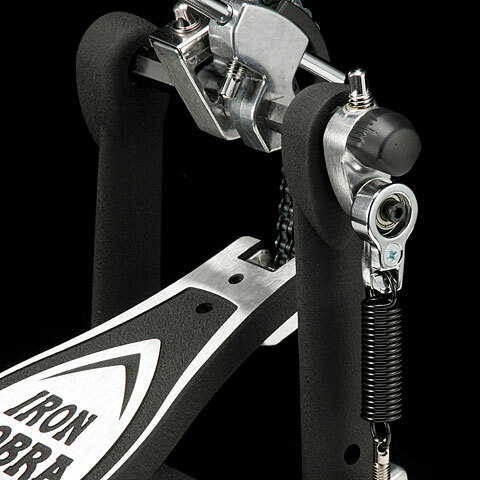 Since mid-'98, there is a new "Iron Cobra" generation that has moved very quickly to the top in the pedal world. These are the models HP 900 P (Powerglide with Eccentric chain Edition), HP 900 RS (Rolling Glide round chain edition) and HP 900 F (Flexiglide with a "Dupond Kevlar" nylon train). The corresponding double pedals are the PTW HP 900, HP 900 and HP 900 FTW RSW. 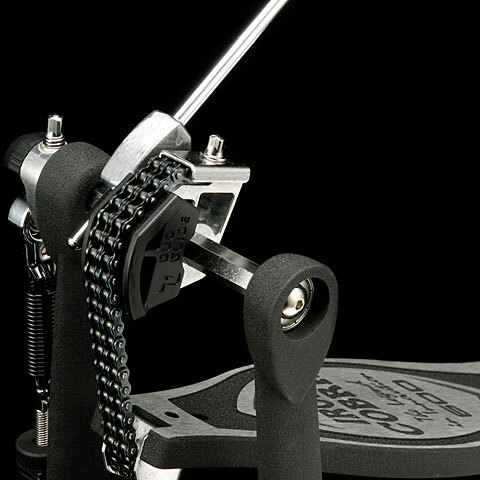 All pedals are equipped with a bottom plate, the step plate is by means of a ball-bearing (!) Attached to the hinge part verses. 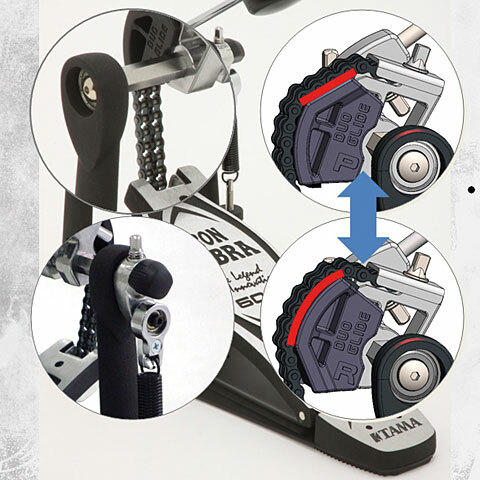 Interesting for IRON COBRA twin pedal, the user should use TPA 90 (Twin Pedal Attachment), you can connect with the free-standing pedal with the IRON COBRA HH-resistant.